Istanbul is one of my favorite cities in the world. Its unique east-meets-west culture is fascinating and its food is hauntingly delicious. 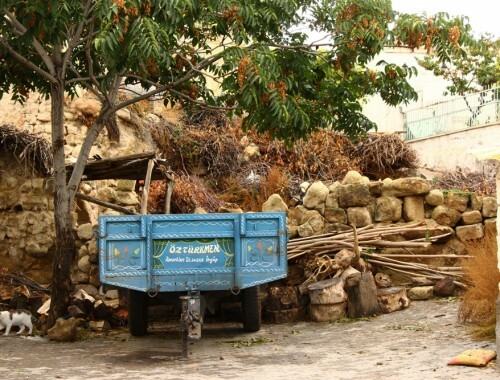 But beyond the things that make Istanbul stand out are the everyday things that make it such a pleasant place to be. The streets are picturesque and walkable. The trees all seem old enough to tell stories. The weather is generally mild. And the windy air above the Bosphorous Strait makes the city feel like my hometown, San Francisco. I’ve only found a few places in the world that I’ve connected with so easily, and Istanbul is definitely one of them. I love this city. 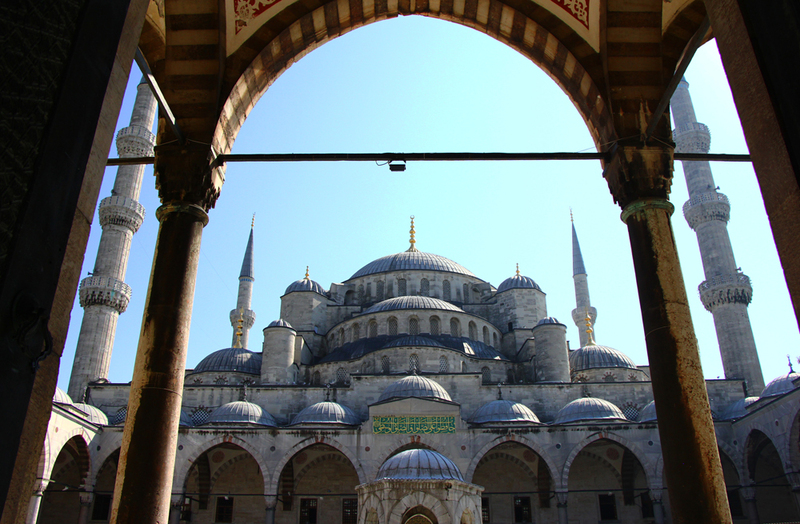 My list starts off in one of Istanbul’s most important and well known landmarks. A place that in many ways is symbolic of the changes that Istanbul has gone through over the last few centuries and embodies the artistry and beauty of Turkey. 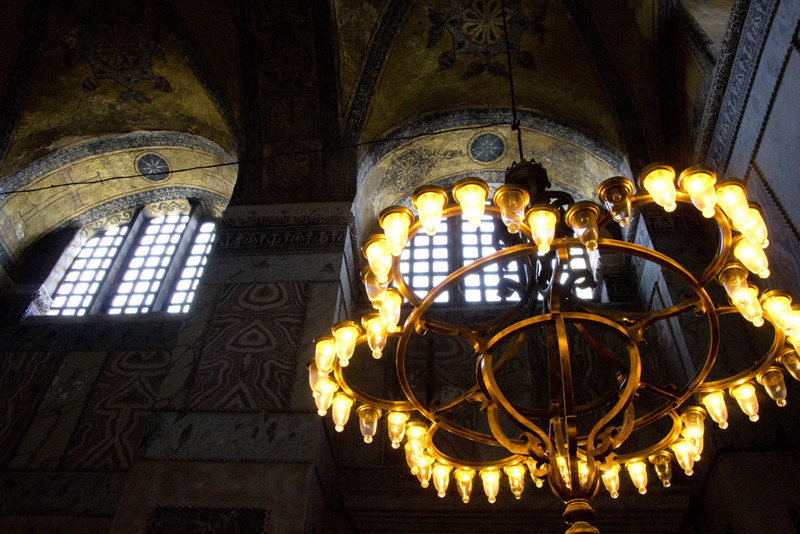 Aya Sofya, or Hagia Sofia, is one of the most important landmarks in Istanbul. It’s purpose has changed over the centuries like a chameleon – it was once a cathedral, then it was mosque, and now it is a museum. 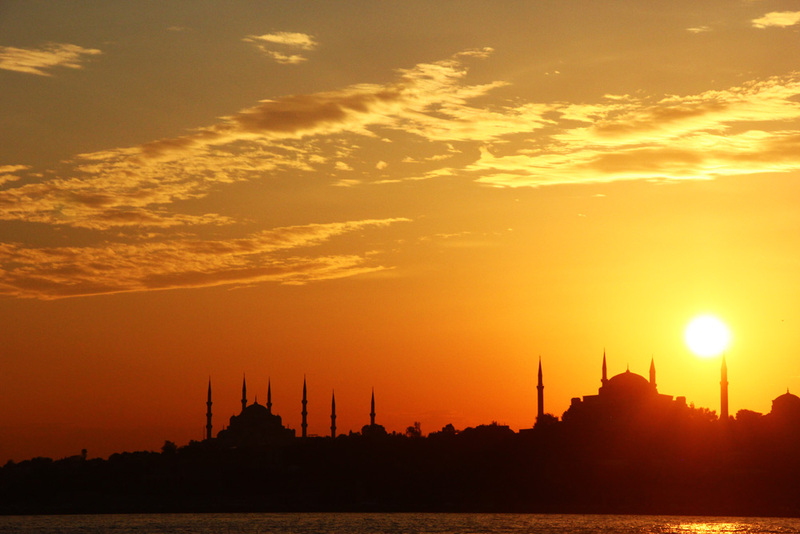 But despite it’s identity changes, it has always had the same silhouette upon the Istanbul skyline – piercing minarets that tower over Istanbul’s other mosques. Also, the chandeliers here are romantic and elegant – definitely one of my favorite things in the whole city. Tip: go here first thing in the morning when the light is soft for photography and the line to get in is still short. This mosque is pure art. The perfectly balanced architecture on the outside and the somber artistry on the inside are unrivaled. Just a note – the mosque does close to visitors during prayer times, so be careful when you plan your visit. 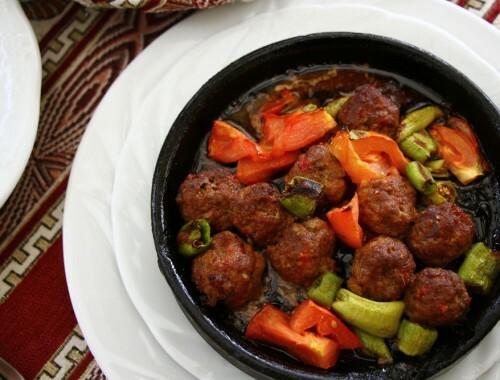 There are a lot of different styles of kebabs (or kebap) to try in Turkey. Some are on a stick, some are swaddled in dough, some are baked in clay. 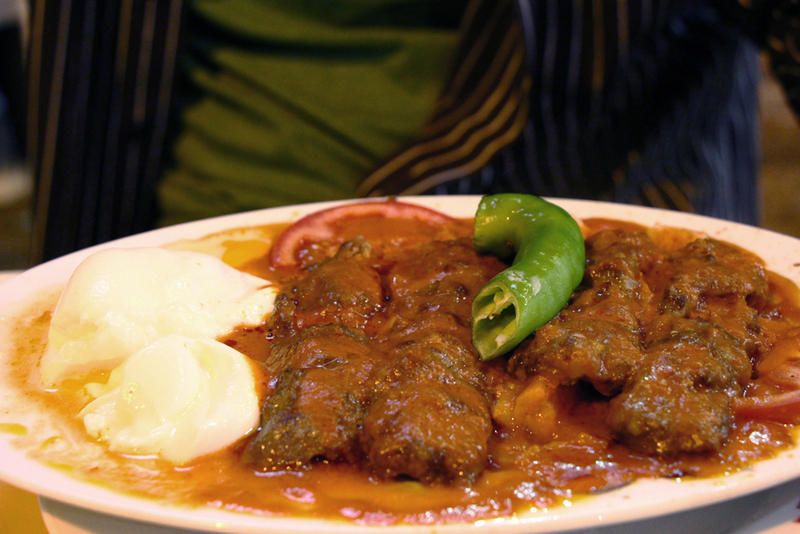 But my favorite one is far messier than those – iskender kebap. This dish takes pieces of juicy meat and airy bread and bathes them in tomato butter sauce along with yogurt and peppers. Oh yeah. My favorite place to grab this dish is the pide and kebap restaurant called Karadeniz. It’s right near the Blue Mosque and looks like nothing too fancy from the outside. But what’s made inside – including the boat-shaped and pizza-like dish pide as well as the iskender – is delicious. 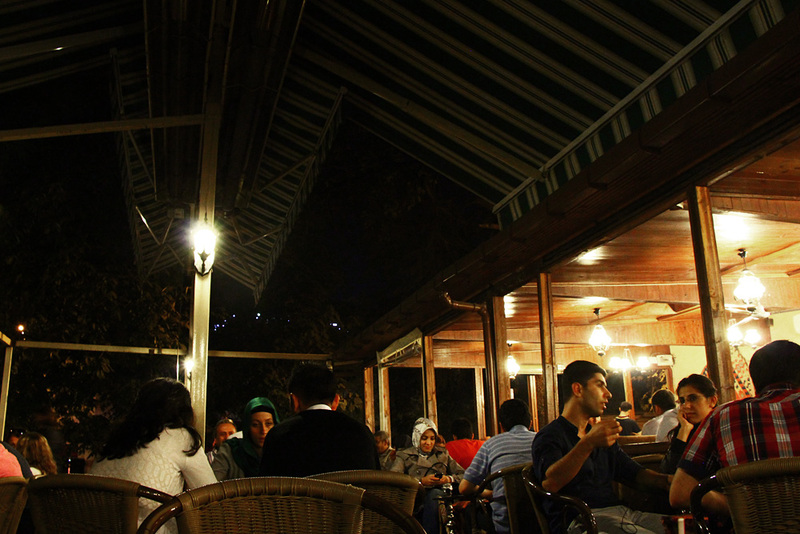 Just a short walk from Karadeniz is the nargile/hookah cafe Turk Ocagi. The cafe itself is hidden from the street behind the walls and pathways of an old cemetery, but I promise you’d never know that you are in a cemetary. It’s like a little indoor-outdoor oasis away from the tourists in the middle of the tourist center. There are heated patios and wifi as well as a selection of tea, coffee, juices, and flavored tobacco. Note that they do not sell alcohol or food. 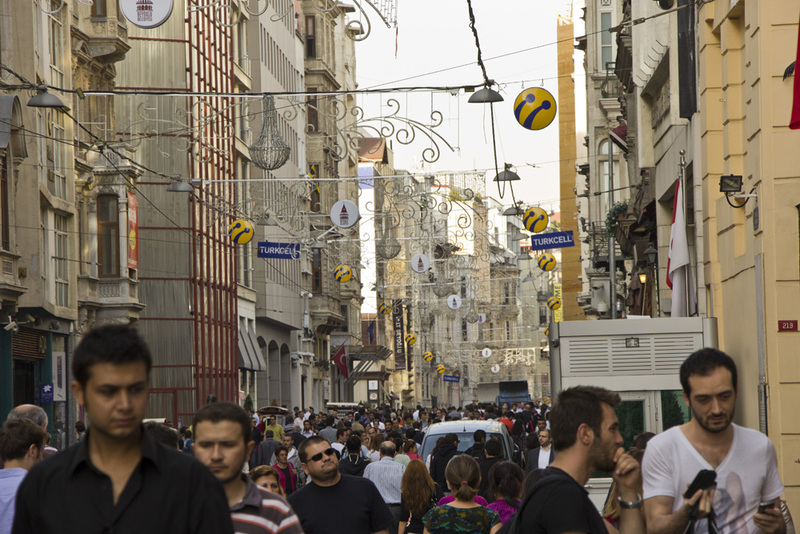 Shopping was one of my favorite things to do in Istanbul for a few reasons. First of all, trading and bargaining for goods is a big part of the cultural history of this city. 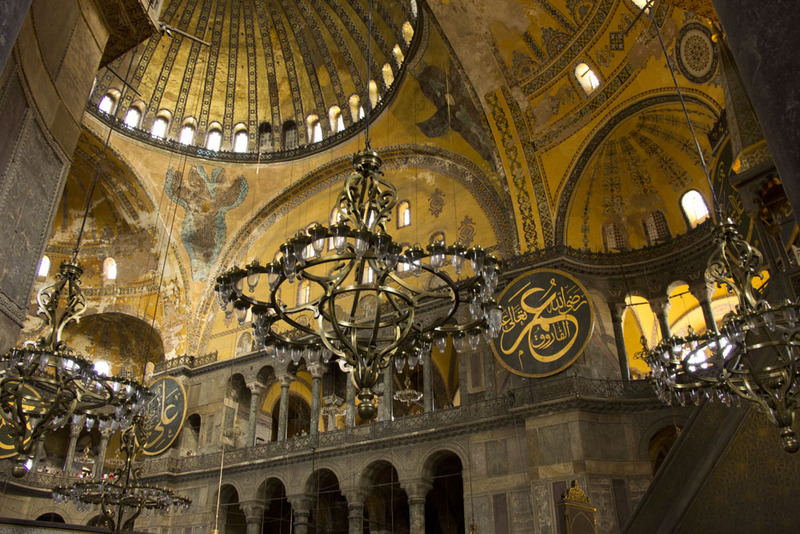 After all, Istanbul (once Constantinople) was a stop on the legendary Silk Road. Secondly, it is a perfect way to get to know the crafts and art styles of a destination. Turkey has such unique and interesting style, even just looking at all of the shiny and delicate items for sale is an experience. Lastly, there are so many beautiful things and I wanted to bring a little piece of Istanbul home with me. Enter Dhoku. For my personal subtle/eclectic/earth-toney style, Dhoku’s modern styled carpets were perfect. 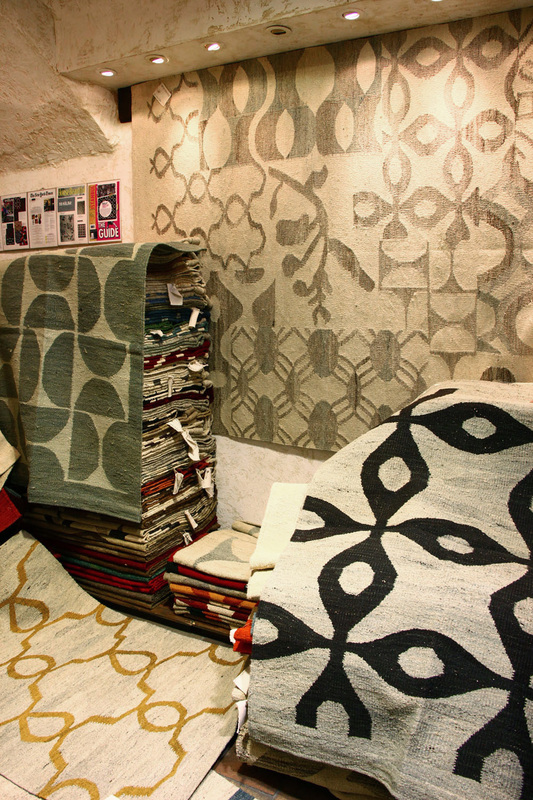 They are handmade with local organic wool in the traditional style but use understated graphic and patchwork designs. Also, they are sold by the square meter so bargaining is not necessary here. A lot less work than a regular bargain-style carpet shop. 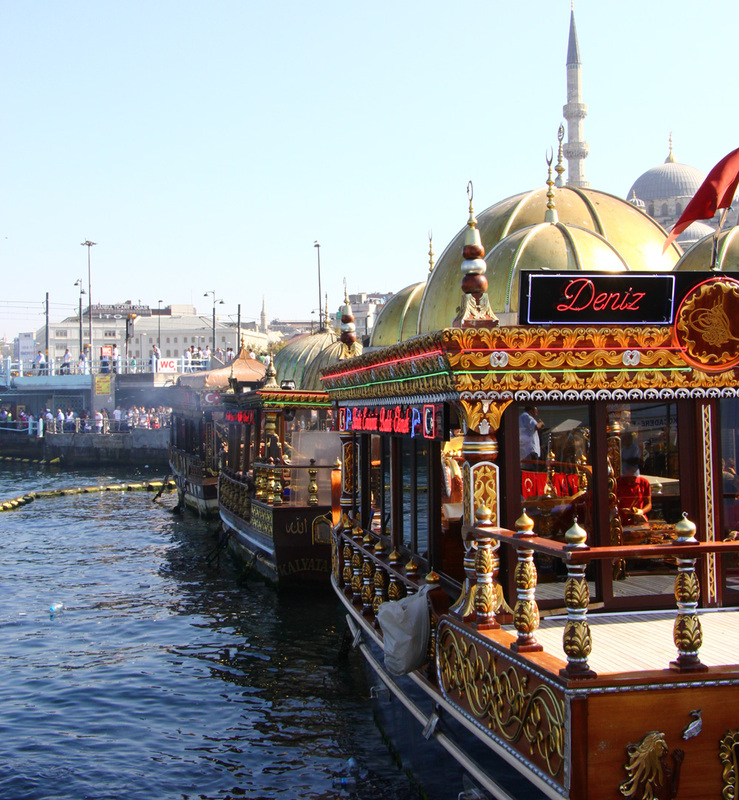 The Galata Bridge area, to me, embodies the best of Istanbul’s energy. 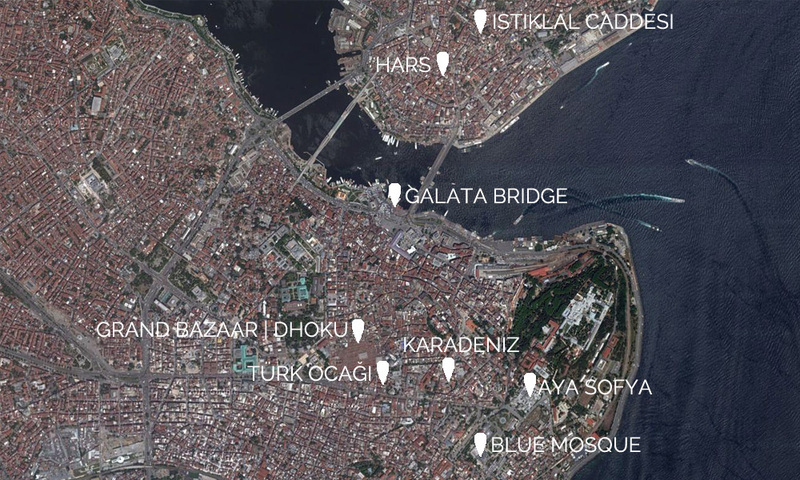 Between the Spice Market, the New Mosque, the fish restaurants, the bridge that leads to Beyoglu, and the ferry docks, there is a lot going on. 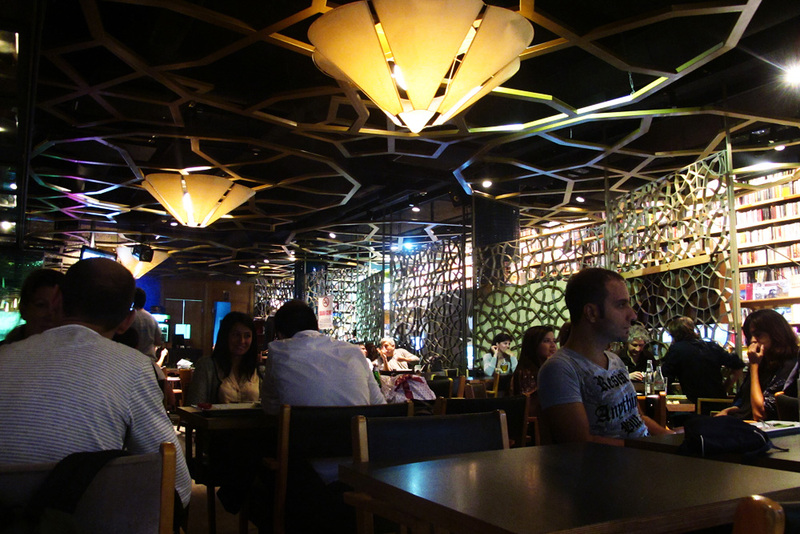 And with all of this, there are still little corners where you can sit down and enjoy a coffee or tea or a kebab. Or a bench with a view where you can enjoy a simit. Riding the Bosphorous ferry, which leaves from the ferry dock, was one of my favorite ways to see the city. I highly recommend it – especially if you are only in town for a few days. In addition to finding myself a rug, I wanted to bring home a few gifts for family. 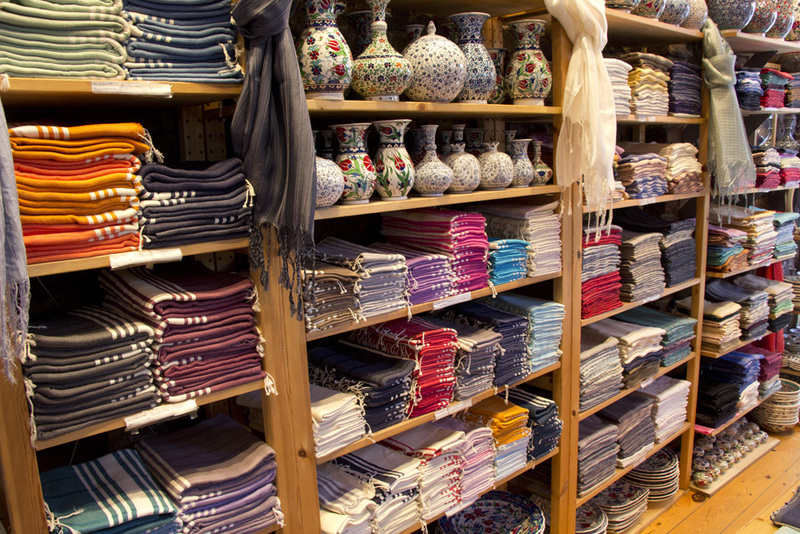 I was on a hunt for super soft Turkish towels for my mom to use in her newly renovated home. 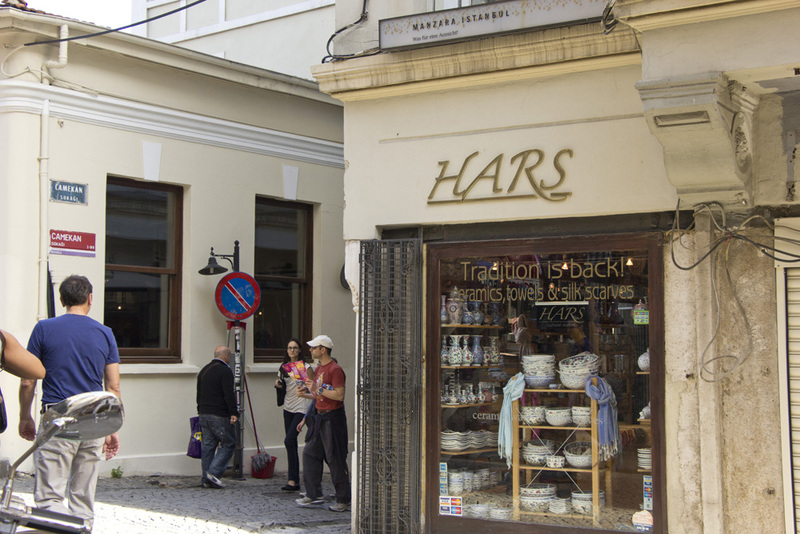 Hars, a shop I found on the quieter side of the Galata tower, was the ideal place to grab them. Their shelves look like rainbows because they have so many colorful options and sizes. After the fun of purchasing several for my mother, I was convinced I needed a few myself. I do not regret that choice. Just a note that while there are hotels right on the this street, I would be hesitant to stay there due to noise. We chose a tiny guesthouse, Eastwest Hostel, about 100 yards down a small side street and had no noise issues. 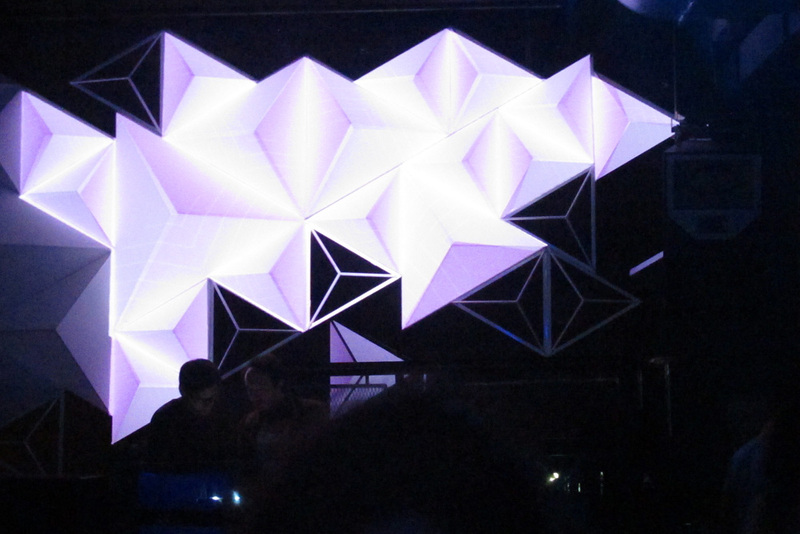 Geometric DJ lights at Indigo, right off the main strip. Last but DEFINITELY not least, being on the water looking back at the city is hands down the BEST place to be at sunset. Sure, the views over the Galata bridge are stunning, and sure, looking up on Aya Sofya during the warmth of golden hour is nice. But being on a boat watching the Istanbul skyline in silhouette against an orange sky was my absolute favorite moment in this city. I wouldn’t have missed it for the world. 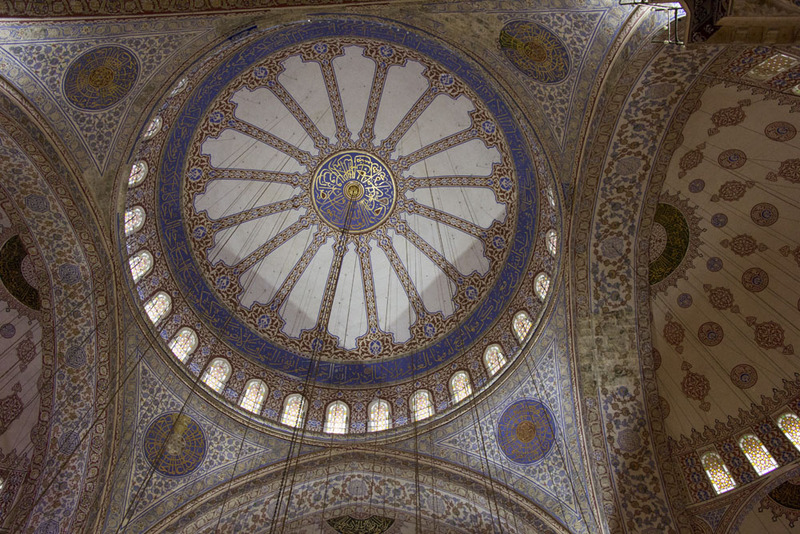 I hope to find more gems to share with you on my next trip to Istanbul. 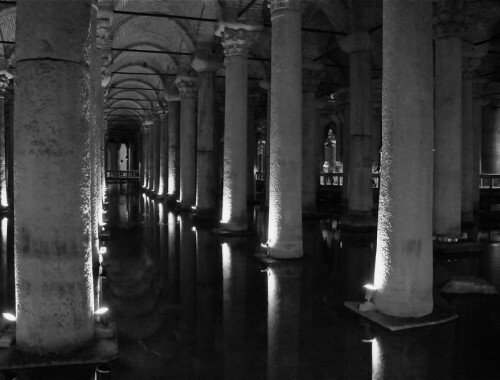 In the meantime, tell me: where are your favorite places in Istanbul?